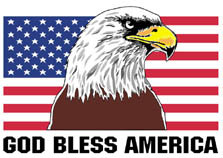 GOD BLESS THE USA ! ! Works best with high speed DSL or CABLE modem. you may as well make it dance"
Click the blue button OR use the pop-up window. Janet's Genealogy Page - "Ancestors of George Vander Gentry"
DUNCAN genealogy research files of Mary Ann Dobson - EXCELLENT ! Special thanks to for the animated United States and Arkansas flags.